During zucchini season, gardeners are often inundated with crates of zucchini. One popular way to rescue all these extra zucchinis is to bake a chocolate and zucchini cake. The interesting combination of zucchini and chocolate actually produces a delicious result. Not only does the flake have a fluffy crust, the zucchini provides extra moisture so there less butter is actually needed for the recipe. 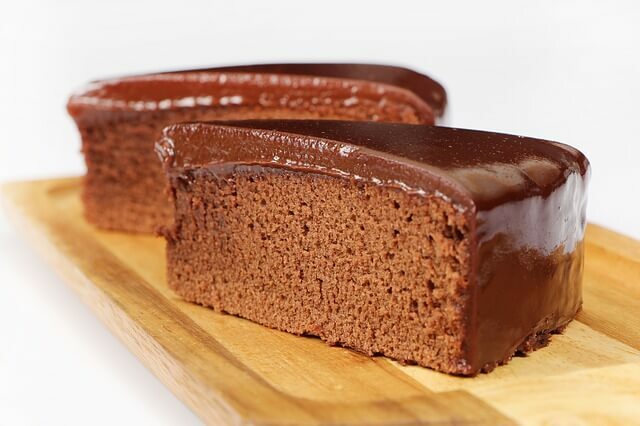 With the help of cocoa powder, there isn’t actually any vegetable taste but rather a sumptuous chocolate flavor. The final dessert is a light, voluptuous chocolate flavor cake using seasonal green produce. There are plenty of creative and delectable ideas to enjoy the extra zucchini during the harvest season such as zucchini bread, noodle salad, tarte and ratatouille. Time to get those recipes started! When it’s zucchini season, the crop grows so abundantly that overloaded gardeners often leave boxes of zucchini for people on the seats of their cars. One popular way to use up all of that zucchini is by baking chocolate zucchini cake, which is delicious and takes under an hour from start to finish. This particular recipe produces a wonderfully fluffy cake and a decadent chocolate flavor, thanks to cocoa powder, chocolate chunks, and just a bit of actual coffee.